Since we have been in our "new to us" home, we have certainly enjoyed our bird population. The squirrels, chipmunks, raccoons, mice and snakes I could definitely live without! We are near the Mighty Mississippi which I am sure might help the population! 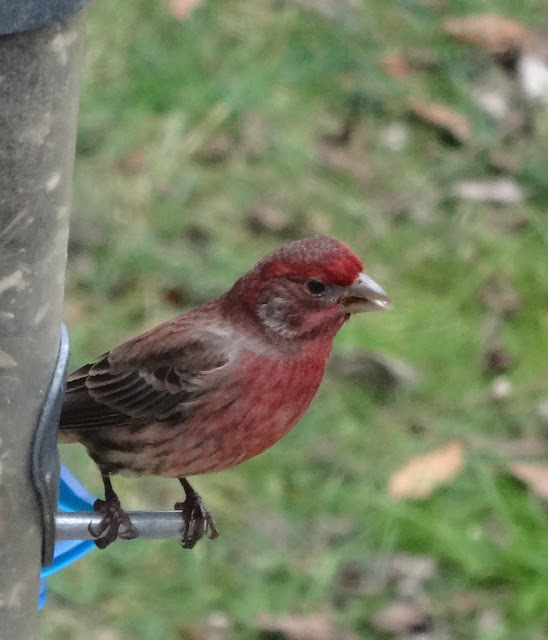 I believe the next one to be either a Purple Finch or a House Finch, they are beautiful! 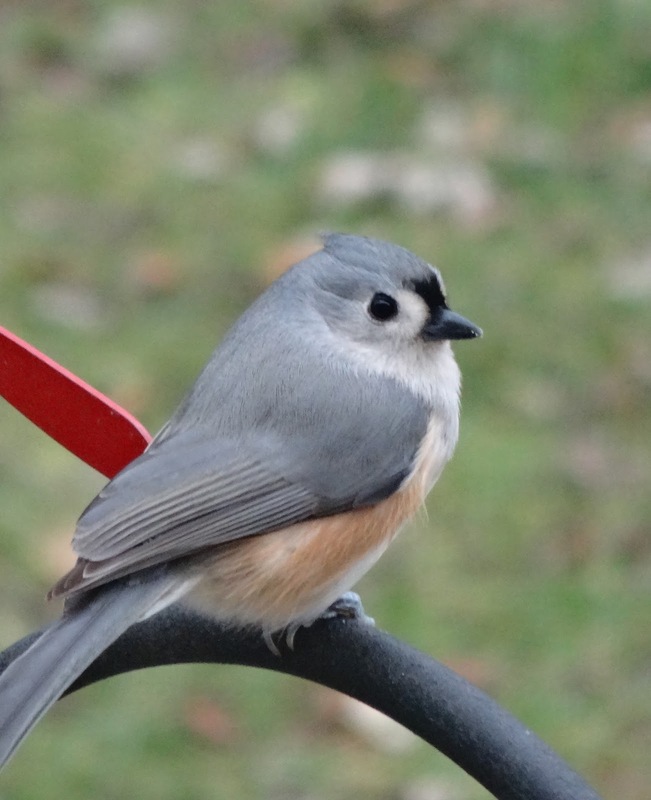 One of my favorite birds is the Tufted Titmouse! They are so cute!! We are inundated with Downey Woodpeckers, it may be the bark butter that they love that entices to come back! 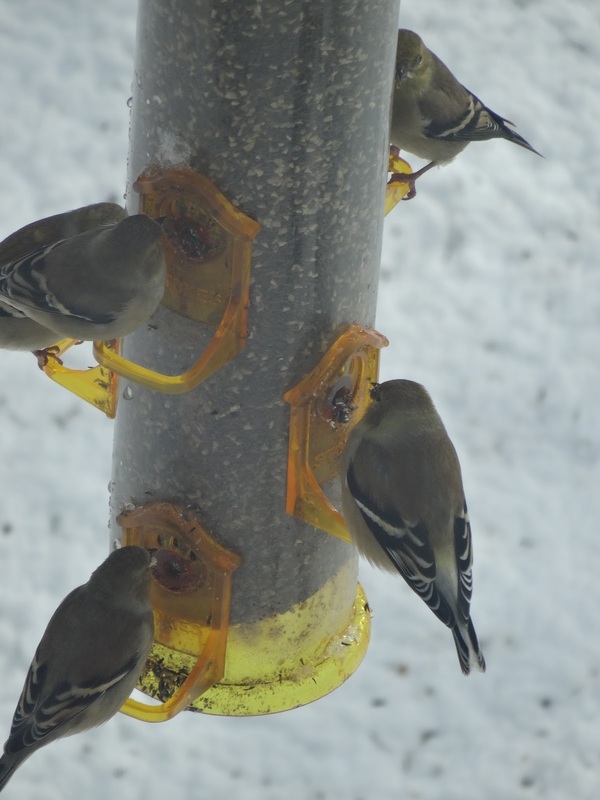 We have had a surplus of Goldfinches since spring! They are not as pretty in their winter plumage but still one of my favorite visitors!!! So there you have it..... I must be a crazy bird lady!